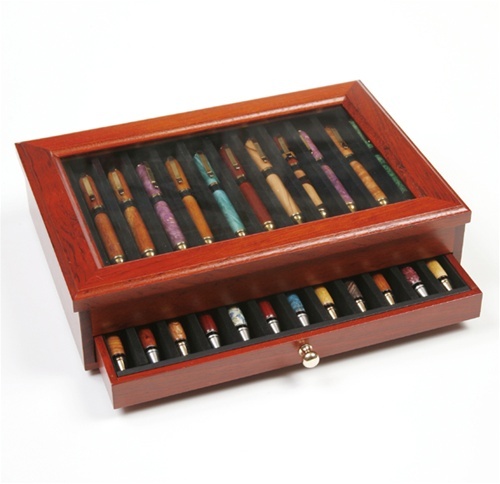 This magnificent 24 pen glass top display case is made from solid rosewood with brass hardware. 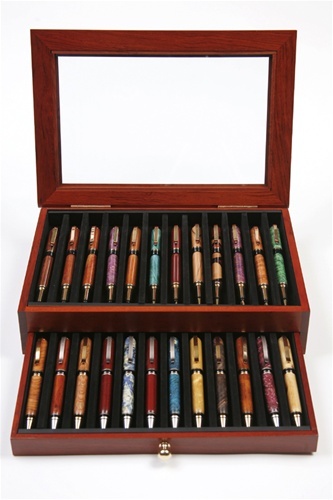 12 pens are displayed under a glass lid and 12 pens in a drawer. 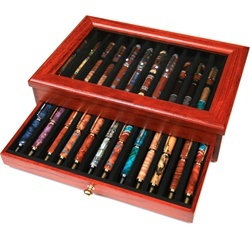 Features black contoured foam inserts designed to showcase 24 of your favorite writing instruments. Holds 24 small to medium sized writing instruments. Glass Top with Brass Hardware.